Around the country, many young voters want change but Vladimir Putin is expected to win Sunday's presidential election. "The most important thing for me is that our foreign policy stays the same," said Gruk, 45, a mechanic and supporter of presidential candidate Pavel Grudinin. "To hell with the sanctions. So what if they don't bring foreign stuff here anymore? As if that means we have to give up. I don't care." With his approval rating topping 80 percent and rivals trailing far behind, Russian President Vladimir Putin is set to easily win a fourth term in Sunday's presidential election. "As Mark Twain said, 'if voting made a difference, they wouldn't let us do it'. I really do support my candidate, but I also realize that it's the oligarchs that truly decide, who becomes president." 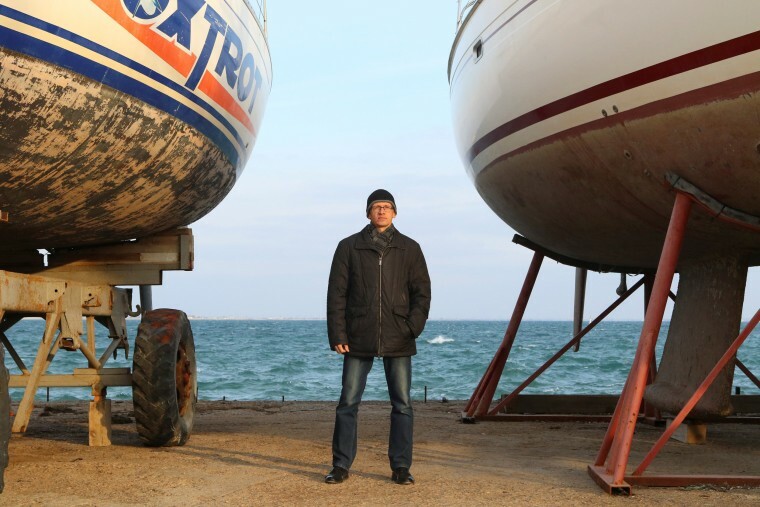 Kalinichenko, 54, is a math teacher and supporter of presidential candidate Vladimir Putin. 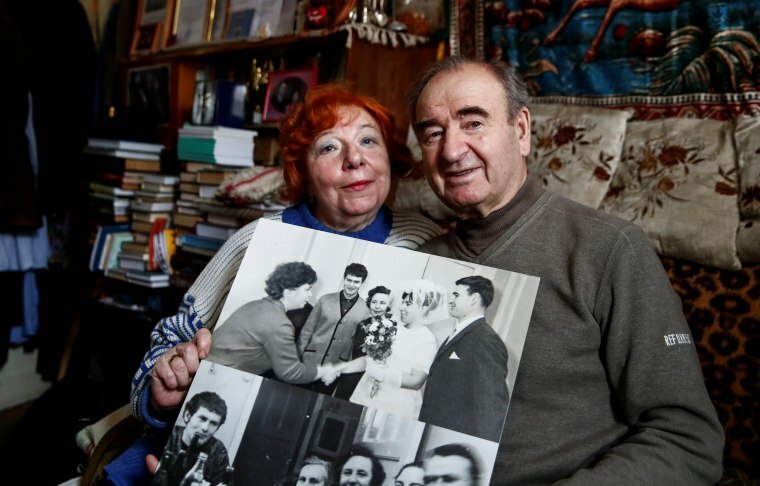 "The economic difficulties that we see today - the declining quality of life of the majority of our people, the enormous gap between the rich and poor - this is where (the ruling party) is at its most vulnerable,"
Avdeev 78, a pensioner and his wife hold a photograph of their wedding ceremony attended by Vladimir Zhirinovsky. "Zhirinovsky, on the other hand, speaks out against this way of developing our society, the oligarchic way," said Avdeev. 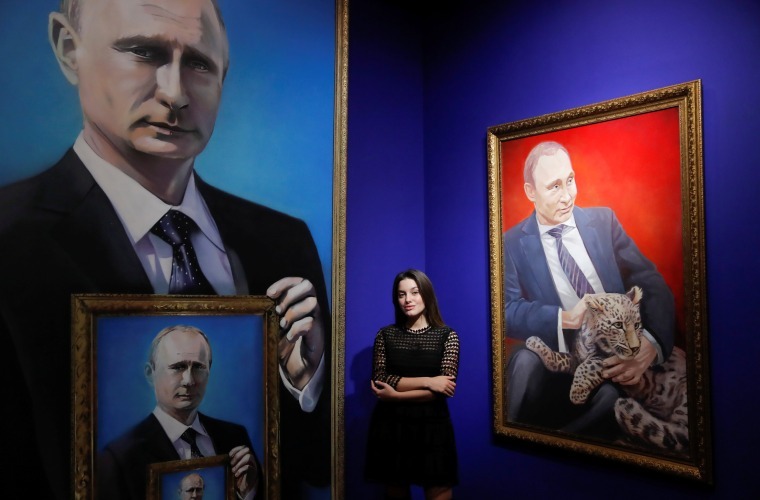 "I'd draw your attention to the colossal support of young people for the current government," said Dyuzheva, 22, a student and supervisor of the "SUPERPUTIN" exhibition and a Putin supporter. "As a representative of the younger generation, I can say that for us, young Russians, all the doors are open. Everyone is able to grab the opportunities presented and make the most of themselves, in whatever town or region. For me, Russia's current leader is taking the country down a very rational path, a path based on justice, openness, one which places a stress on values and traditions, and takes a very clear position on the global stage." 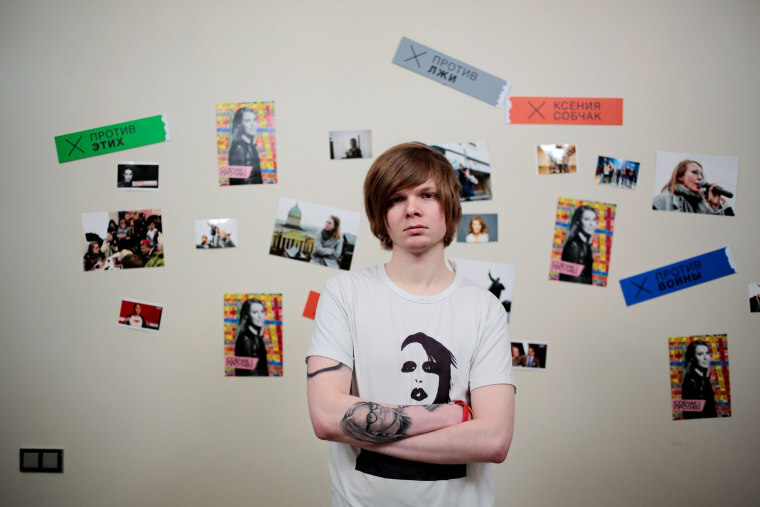 "I am 26," said Bespalov, a journalist showing a tattoo of his candidate Ksenia Sobchak on his arm. "Eighteen of those years, all of my conscious life, I have lived under a single president. I have been waiting too long for change." "It's hard to say what the future will look like," said Vorontsov 42, ataman of a local Cossack society and a Putin supporter from Mikhaylovsk, a town in the Stavropol region. "The way I see it, people can make assumptions, but it's God that decides. The way He rules it, that's how things will be." 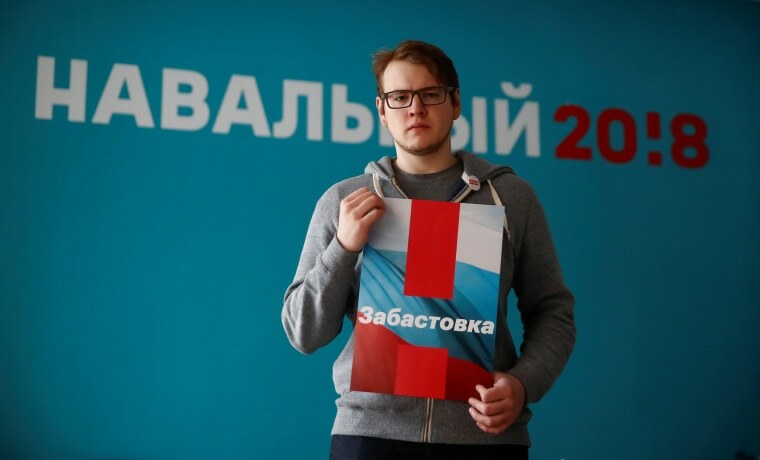 Kulikovskikh, 26, an IT specialist and supporter of Russian opposition leader Alexei Navalny, is calling for a boycott of the upcoming presidential election. "This is not a country of the future, it's a country stuck in the past. 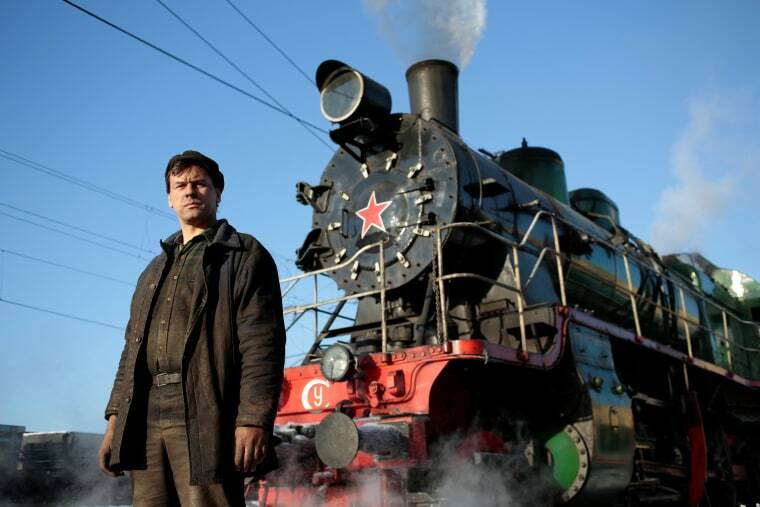 I can't visualize the future right now," said Kulikovskikh. "Most people don't care. The absolute majority, they just don't think about things. They're asleep. They don't care whether it's Putin or Navalny — they need to be woken up. Then change will really happen." 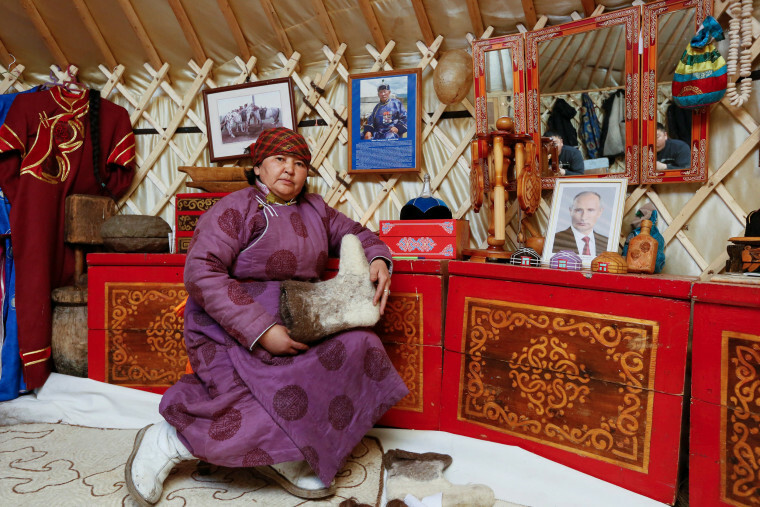 "We, the Arat people, farmers, need to be able to be confident about what tomorrow will look like," said Darisyu, 51, a Putin supporter and head of a private farm located in Kara-Charyaa area of Kyzyl town in the Republic of Tyva. "We need this in order to expand and develop our farmsteads." said Darisyu. 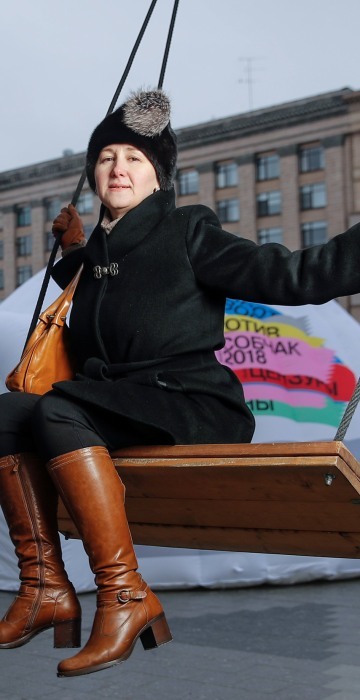 "She speaks the truth, openly," said Dementieva, 44, an accountant who is currently unemployed and who supports Ksenia Sobchak. "She doesn't lie. She raises issues which are taboo under our government. 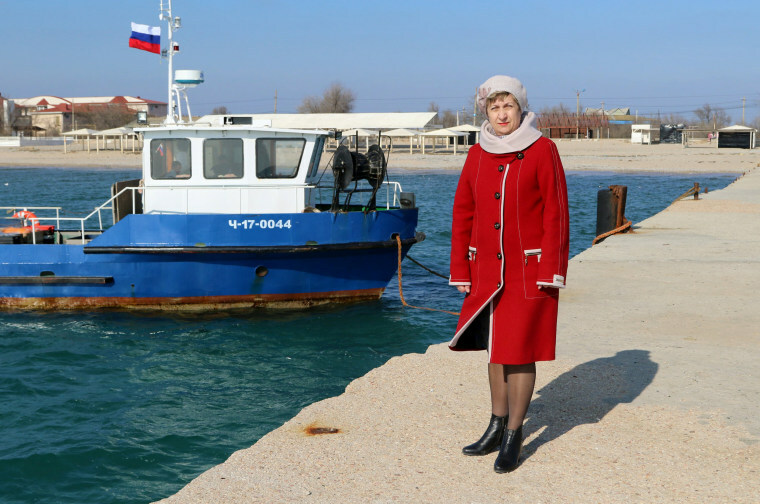 For example, Crimea. Which means she's not afraid." "The idea that things have improved, I'm not seeing it. Things have gotten worse. They have started to control what people think even more than during the Communist era. People are afraid again... Ksenia is a politician of the future." 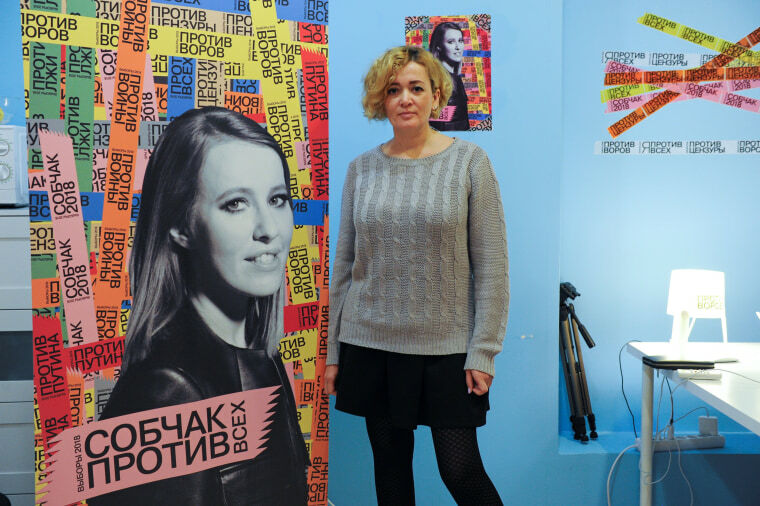 "I want change, of course," said Shevchenko, 38, head of the election campaign team for Ksenia Sobchak. "First of all, in how this country is run. I hope that something will change. That's why I completely support my candidate's program," said Shevchenko. "But at the same time, I completely understand that these elections don't decide anything. I just want new people in our politics." "When the people in power don't change, it's the foundation for corruption, it's what corruption needs to remain undefeated," said Zubenko, 45, a lawyer and supporter of presidential candidate Grigory Yavlinsky. "We see that for the past four years, real incomes have been falling. A few people might have seen things improve, but overall, the population, the country, business, entrepreneurs, all economic structures, they're just about surviving. Things are getting worse and worse, unfortunately... We have to change the constitution, so that power never again finds itself in the hands of a single person." 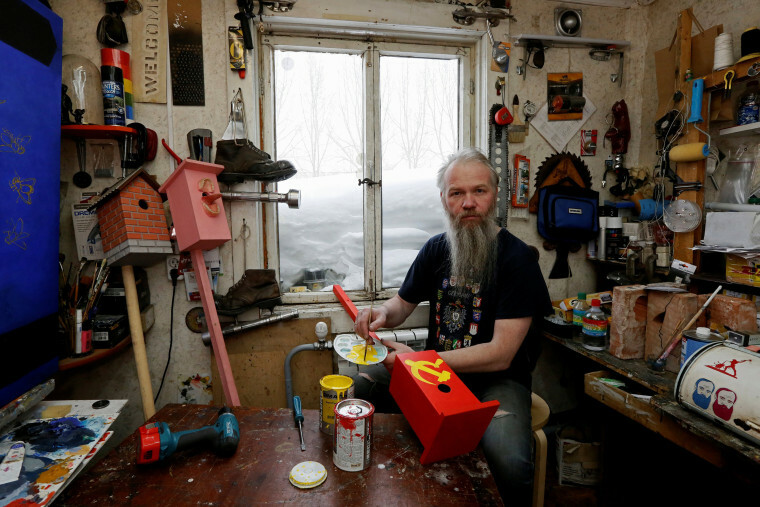 "I don't think that this will be Putin's final term in office," said Slonov, 48, an artist and supporter of Pavel Grudinin. "In fact I see a sort of messianic energy in Putin," he said. "He's not just any other person, but something of an instrument in God's hands. He's not simply a politician." 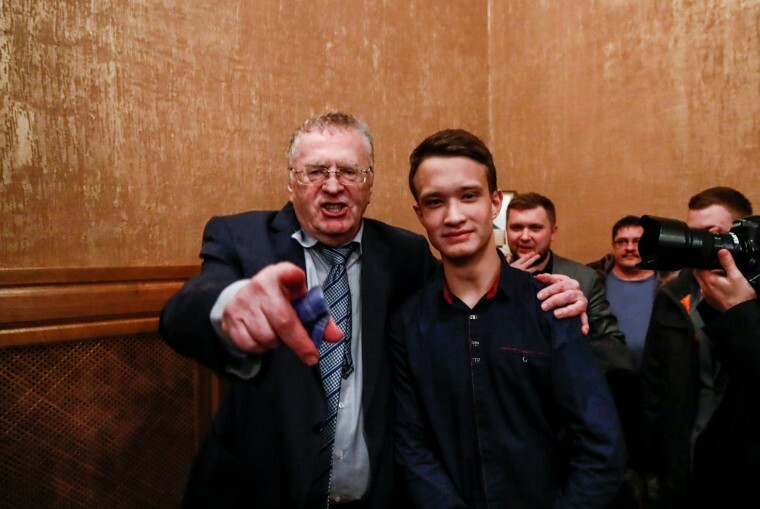 "I don't expect Putin to change things, and history proves this to be true," said Gubsky, 21, a student and supporter of presidential candidate Vladimir Zhirinovsky. "Little has changed over the past twenty years... to see progress in my life, we need a new president, new ambitions and new decisions." 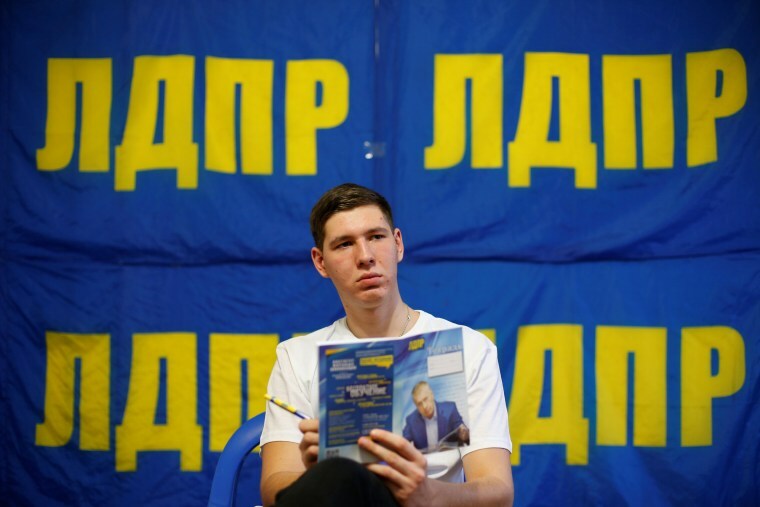 "There's something of a shift, but I want real changes, which will improve our lives," said 19-year-old Lomakin, a student and supporter of presidential candidate Vladimir Zhirinovsky. "I want there to be more opportunities for the young, so they can really make the most of their lives." 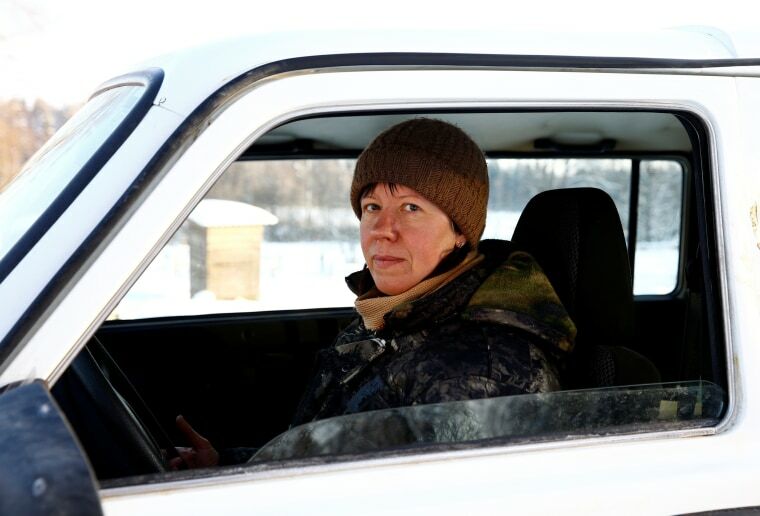 "Me and my friends will not go to the polling station — we don't believe in this election," said Baikova, 41, a Russian citizen visiting her relatives in the village of Yukhovichi, Belarus. "But if I go to the polls, I will vote against everyone and especially against Putin. His policies have not given us anything good over the years." 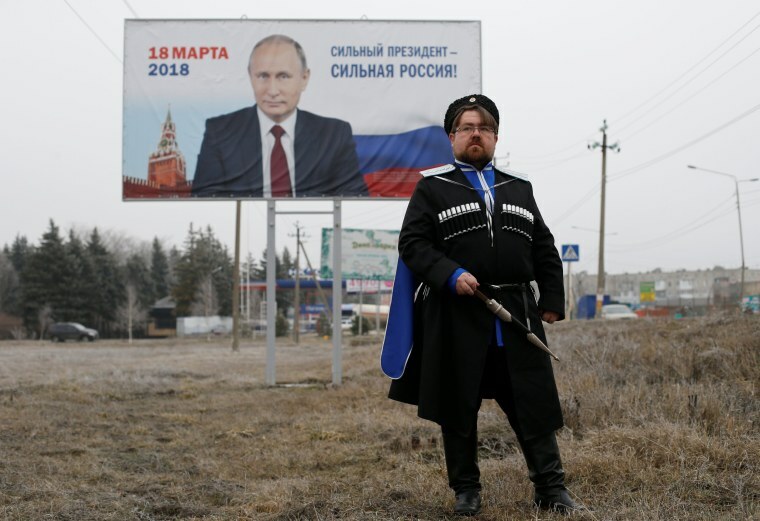 "Of course, among the candidates right now, in my opinion no one can compete with our current president," said Reshetnyak, 42, a Cossack ataman and Putin supporter. "There's no alternative. So yes, maybe these are elections without a genuine choice." 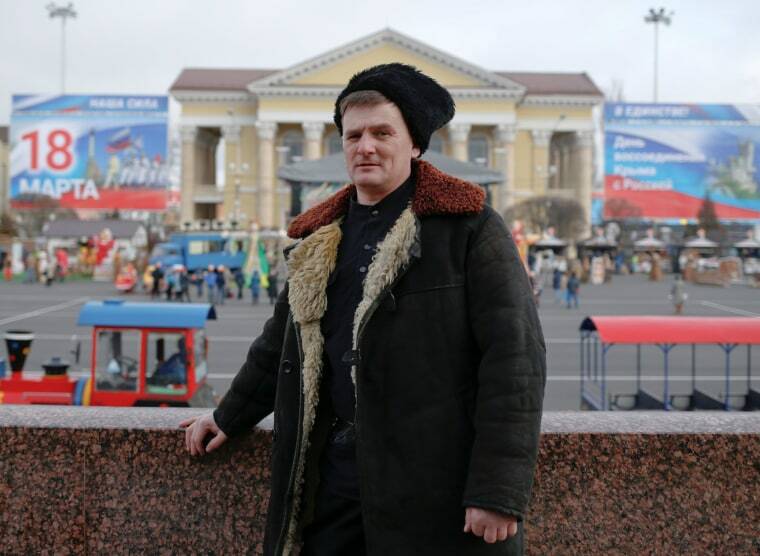 "I am going to vote, because I want stability," said Lukinykh, 46, an engineer and Putin supporter. "As the saying goes, you don't change your horses when crossing a river." said Lukinykh. "Unlike the others, my candidate can provide the stability that's needed."